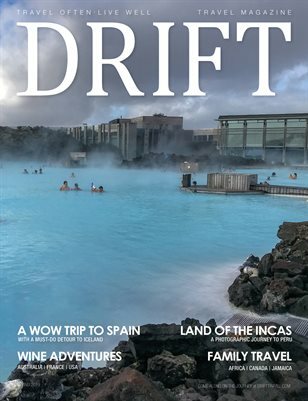 At DRIFT Travel Magazine, we are committed to providing our clients, customers, members with exceptional service. As providing this service involves the collection, use and disclosure of some personal information about our clients, customers, members, protecting their personal information is one of our highest priorities. This Personal Information Protection Policy applies to DRIFT Travel Magazine and its subsidiaries. This policy also applies to any service providers collecting, using or disclosing personal information on behalf o DRIFT Travel Magazine. Personal Information –means information about an identifiable individual E.g., including name, age, home address and phone number, marital status, income, education, employment information]. Personal information does not include contact information (described below). 2.2 Consent can be provided e.g., orally, in writing, electronically, through an authorized representative or it can be implied where the purpose for collecting using or disclosing the personal information would be considered obvious and the client, customer, member voluntarily provides personal information for that purpose. 6.3 We will use appropriate security measures when destroying client’s, customer’s, member’s personal information.